Games and fun activities are a vital part of teaching English as a foreign language. A good word and puzzle game will not only teach you English but also entertain you as you play it. Some of the best English word games are those that make you forget you’re actually learning! Three games that will help you to learn new words, improve your vocabulary, and explore language. 1. 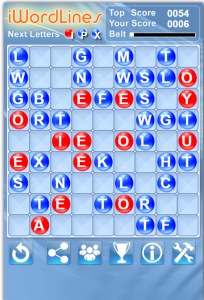 Word Lines is a fun and engaging online game that helps you learn new words and improve your vocabulary. 2. 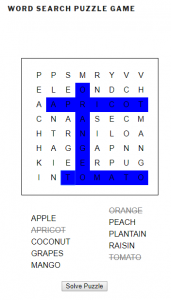 Word Search Puzzle Game allows you to find and select hidden words in the scrambled grid of letters. The words can be placed horizontally, vertically and diagonally. The correctly selected word will be highlighted in blue. Once all words are selected, the whole grid will become green. 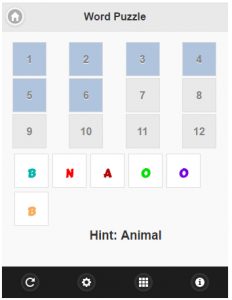 Look for a hint – word category: animal, flower, etc..
15 of 15 words (animal names) were placed into the puzzle. Play FREE Word Search Puzzle Game online.